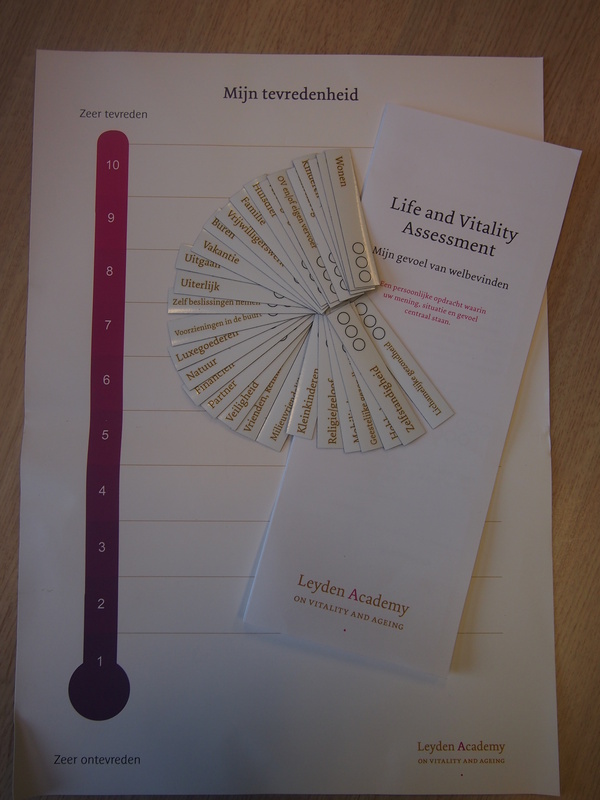 Leyden Academy has developed an instrument to measure the wellbeing of older individuals: the Life and Vitality Assessment (LAVA). The instrument provides insights into what older individuals find important in their lives and how they perceive their own well-being. Based upon these insights, goals can be defined to improve and/or maintain well-being and a plan can be made to achieve these goals. The LAVA helps to focus on the well-being of older individuals. We feel it is important to shift the perspective from the complaints and symptoms of the older person to their desires and what makes them happy. Please click here for a short video introducing the LAVA instrument, with special thanks to Mrs. Wolbersen (95 years old) from The Hague. In 2017, we trained 50 healthcare and welfare professionals in using the LAVA. From July 2018, e-learnings will be made available (initially in Dutch) to introduce the LAVA and efficiently train the basic skills required to use the instrument. If you and/or your organisation are interested in a LAVA training, please let us know. For more information, please contact Anne Annink.